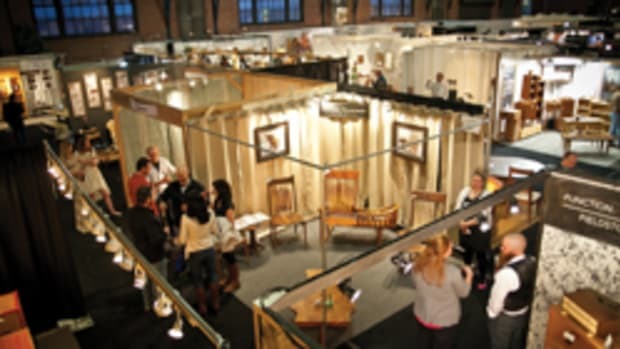 The 16th annual Philadelphia Invitational Furniture Show experienced a vibrant turnout, with numbers slightly up from last year. The show took place March 26-27 at the Cruise Ship Terminal in the Philadelphia Navy Yard. Many exhibitors reported that their sales expectations were met or exceeded and they plan to return next year. Show director Josh Markel says there were 67 exhibitors - up from 58 last year - and attendance was just under 3,000, close to last year&apos;s count. "It was a good turnout. There were many serious buyers and the aisles were full and there was lots of traffic, with conversations and sales going on," says Markel. While it&apos;s too early to tell, he says the sales level seemed slightly up from last year. The real test is in the exhibitor survey results. So far, 39 of the 67 exhibitors have replied, and three-quarters have indicated they want to return. 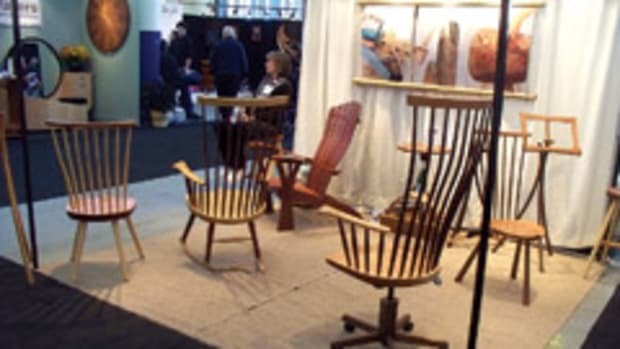 One of those includes Jim Hammer of Marshall, Mich., a maker of custom rocking chairs. "It was a very nice show, well-attended and had a well-educated crowd. Crowds were steady throughout the show. The preview party Friday night was an excellent kickoff and very well-attended with knowledgeable patrons and a relaxed atmosphere. The venue was exceptional. Sales for me were sluggish, but I felt I was laying groundwork for future sales since I haven&apos;t participated in the show for the past three years. I will definitely look forward to doing it again," says Hammer. The show featured a range of work reflective of the diverse creative directions present in the field of artisan-made furniture. This year&apos;s exhibitors included five ceramics artists, five glass artists, three paper artists, a tabletop kitchenware maker and a textile weaver. The rest were furniture makers. 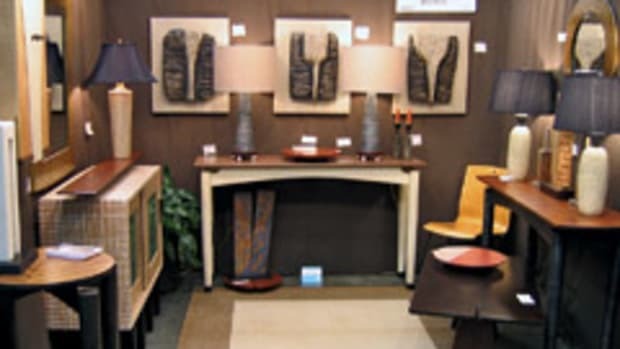 "Where I heard about there being &apos;good sales&apos; is in what I would call transitional furniture," says Markel. "These are neither modern nor traditional designs. They involve a more modern interpretation of a traditional piece - something with historical reference points, but also clearly modern at the same time." Markel noted that Zelouf + Bell, a producer of high-end custom furniture from Dublin, Ireland, did really well. 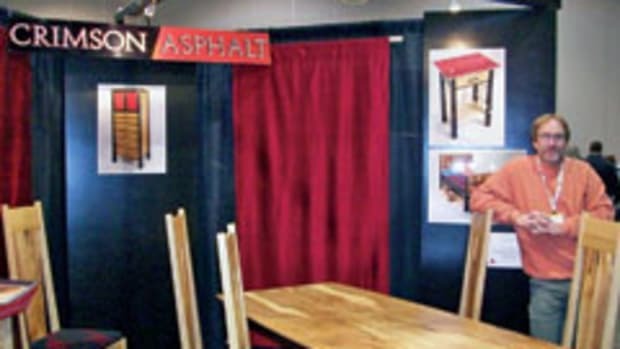 Custom chair maker Michael Doerr drove 20 hours from his shop in Sturgeon Bay, Wis., and left with a nearly empty booth. 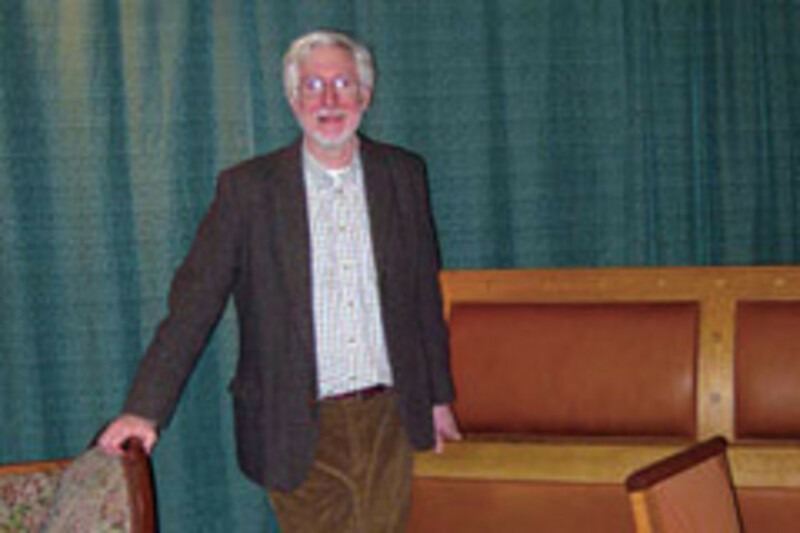 "I sold a group of chairs to one lady and, to give an idea about how well the economy is picking up, my chairs start at $2,400. I had another lady who bought stools and special-ordered them in bird&apos;s-eye maple. I thought that the people with the money to spend felt secure in spending it. They&apos;re not watching it evaporate anymore," says Doerr. This was the first time Doerr exhibited at the show&apos;s Cruise Ship Terminal venue, which he describes as unique, easy to move into, and in a very interesting part of the city with a lot of potential as an up-and-coming area. 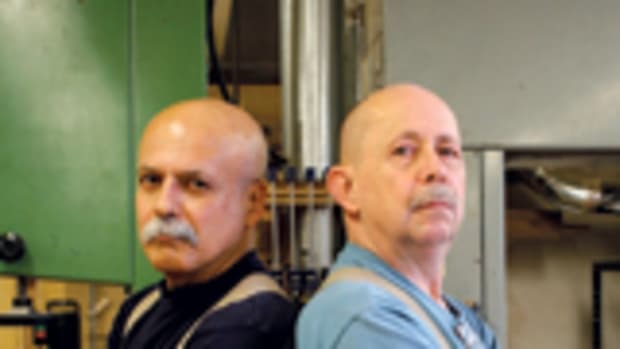 Bill Russell, a decorative furniture maker in Philadelphia, says he found the show to be lively both in terms of the crowd and sales. "Many other exhibitors I spoke with were excited by the response they had this year. Another stellar effort by Josh Markel and his staff," says Russell. 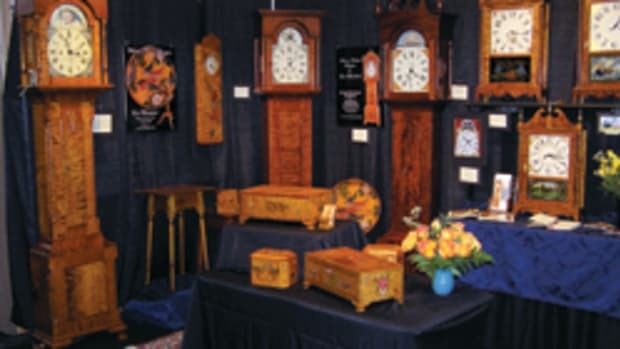 Leonard Marschark of Bedminster, Pa., a builder of 18th century clocks, feels the show is clearly on an upswing the last two years. "In a market that has seen most shows down trending, PIFS has improved for most vendors. While sales have not been great for me, considering the present market conditions, sales and leads have met my expectations," says Marschark.